"Independent Electric Group: Midweek Mix"
The Scottish artist and poet Clare Archibald has created a 'docupoem' that will be displayed as part of this years Not Quite Light Festival in Salford, and Lippy Kid has created the accompanying soundtrack for it. 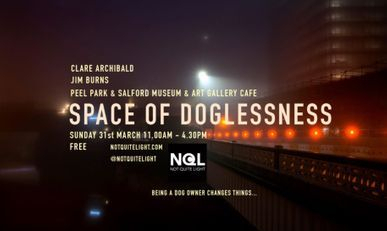 Titled 'Space Of Doglessness' the film will be shown on a loop at the Salford Museum and Art Gallery on 31st March throughout the day. Entry to the exhibition is free. More details can be found here. Lippy Kid hosted a very special show on Radio Free Matlock to mark the end of the year, as he was joined by the editor of the wonderful Electronic Sound magazine, Push. Discussing a wonderful career in music journalism along with the stories behind some of his favourite tracks, it's a fantastic show, and you can catch it via the link below. 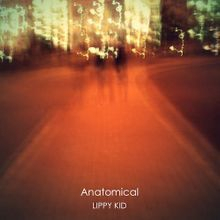 Writers at Louder Than War have been declaring their 2018 Albums of The Year.....And Lippy Kid's "Thought Forms" is included in the list!! 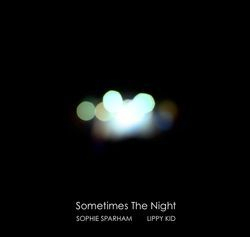 Sometimes The Night is a spoken word/electronica collaboration between Derbyshire poet Sophie Sparham and Lippy Kid. 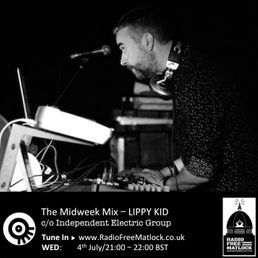 Via Chesterfield's Independent Electric Group, Lippy Kid has linked up with Radio Free Matlock to host and curate a regular 'Midweek Electronica Show'. The show will broadcast every Tuesday, from 8PM to 10PM BST. The aim of the show will be to showcase a range of music connected to the Electronica genre, and putting a spotlight on new and emerging sounds. It's usual format will be for 'hosted' show followed by a mix from a guest connected with the electronica world. However, there will be some occasional 'special shows' that alter this template a little. You can also catch up on all past shows vie the Independent Electric Group website. Lippy Kid will be joining other artists at Independent Electric Group in support of this years "YardsFest' in Chesterfield. 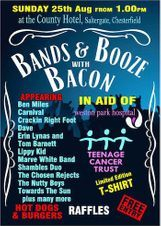 The event takes place on Saturday 28th July, with Lippy Kid expected to perform at 6pm. The event will be an instore performance at Vanishing Point Records, and will be the second LIVE outing for the Thought Forms album. As we reach the midpoint of the year, Writers at Louder Than War have been declaring their 2018 Albums of year so far. 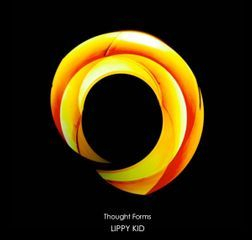 And Lippy Kid's "Thought Forms" is included in the list!! The Independent Electric Group have teamed up with online internet station Radio Free Matlock to host a series of mid-week mixes curated by Lippy Kid. 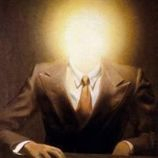 The mixes are provided by independent musicians, producers, DJs, artists and musical obsessives and each one demonstrates the textures and emotive range that the genre allows. Tune into Radio Free Matlock every Wednesday at 21:00 BST to hear a new and exciting mix. The series kicks off 4th July with a mix by Lippy Kid himself. 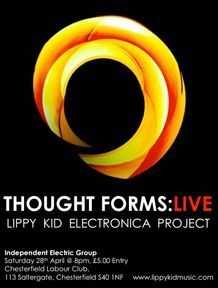 28th April 2018: Thought Forms LIVE!!! Saturday 28th April will mark the debut LIVE performance of the latest Lippy Kid album, Thought Forms. The gig will take place as part of Art collective, The Independent Electric Group, at Chesterfield's Labour Club. Appearing alongside Lippy Kid, will be Derbyshire poets Sophie Sparham, Kworyl Tories-Bane and Matt McAteer, together with singer-songwriter Ichabod. The event starts at 8pm. Entry is £5.00 on the door. Fill details for the gig can be found here. 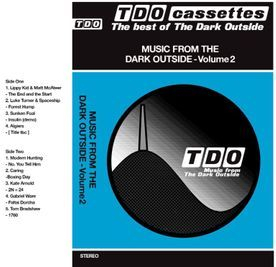 March sees the release of 'Music From The Dark Outside Volume Two', a collection of tracks featured as part of the Dark Outside 24 hour FM radio broadcast of 'unheard sound'. 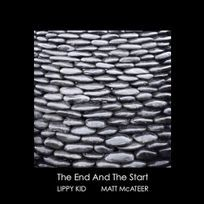 The release features 'The End And The Start' a collaboration between Lippy Kid and the Chesterfield poet Matt McAteer. The track features along an incredible set of artists from The Quietus' Luke Turner, to Mogwai's Barry Burns who features along with Antoni Maiovvi as part of Modern Hunting. In addition there is a track from Tom Bradshaw who was inspired to submit a track after hearing his heroes Plaid had previously taken part. Details of how to get hold of one are here. Friday 26th January 2018 sees the release of THOUGHT FORMS, a new album representing a collaboration between Lippy Kid and the Leeds based abstract artist Greg Farndon. The project is inspired by a series of 'Remix' photographs produced by Greg. Photographs of every day objects, but distorted to create something far more abstract and arguably more beautiful. The essence being that the more time spent in the company of something, the more you're able to to appreciate something beyond the sum of its parts. A digital booklet accompanies the album release with all artwork created by Greg. It contains a selection of images, each named as part of the project and used to drive the music. You can discover more about Greg Farndon and his Art practice here. Following on from contributing to Graingerboy's critically claimed album "Enemy Forward" from 2016, Lippy Kid has now created a mix for his latest EP. "Shadowformerself" is a recently released EP incorporating a single from the album and arrives accompanied by an ambient mix of the song plus two remixes by Drum and Bass duo Deuce and Charger and Lippy Kid. Lippy Kid has teamed up with Chesterfield poet Matt McAteer to produce "The End And The Start", a spoken word piece backed by an electronic soundtrack. The original 'draft' version of the track was premiered over the weekend of Sept 23rd/24th 2017 as part of the 'Dark Outside Radio Broadcast' at Galloway Forest, Dark Skies Park, Scotland and was destroyed directly after airing. Lippy Kid is pleased to announce the formation of the Independent Electric Group. Independent Electric Group is an Art collective formed in conjunction with Chesterfield based performance poet Matt McAteer, and Chesterfield based singer-songwriter Ichabod. It's principle aims are to provide a platform to Independent artists of all genres, and will look to stage a series of events throughout the year. The first of these takes place on September 9th at Chesterfield Labour Club featuring Ex-Ludus/Distractions and one-time Fall member Pieter Egriega, the renowned poet Matt Black and Poke O'Swedgers. Ichabod will also perform a set and the night will be MC'd by Matt McAteer. Lippy Kid will soundtrack the night via a DJ set. Lippy Kid has released a new exclusive track 'Thought Form V (Irpinia)' as part of a new charity compilation curated by Simon Tucker. The album released as a download on 28th October, #MoreInCommon is a compilation that aims to support the charity HOPE Not Hate. Founded in 2004, the charity exists to provide an antidote to the politics of hate. The new #MoreInCommon compilation brings together a diverse range of artists who have donated songs to help raise funds for Hope Not Hate. Contributing artists to the huge compilation include Beak>, Chris and Cosey, The Membranes, Ani Glass, Jupiter C, Graingerboy and current Welsh Music Prize nominees Datblygu. Further details of the release are featured on Louder Than War. The album is available for Download now. 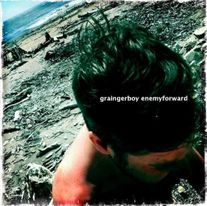 Lippy Kid has collaborated with electronic music veteran Simon Grainger (aka Graingerboy) for a track on his forthcoming release Enemy Forward. Recorded over the space of two years between London and Yorkshire with Ian Catt (St Etienne), Graingerboy’s new album is a call to arms from its author and is an aural and symbolic representation of Simon’s long battle with M.E. 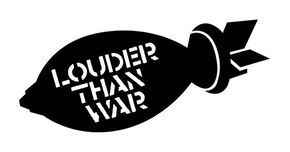 Louder Than War refers to the album as Triumphant, joyous and full of optimism. Enemy Forward is available to download now. For the second time this year, Lippy Kid will be teaming up with the Bristol based DJ, Mixless to deliver a guest mix on Future Music FM. The mix goes out on Monday 10th October and will again feature as part of Nick Wilkinson's Inner Depths show. You'll be able to listen to the entire show from 8:00 PM GMT via the Future Music FM website. You'll also be able to join into the live chat here. 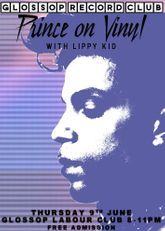 On Thursday 9th June, Lippy Kid will be the host at Glossop Record Club where they'll be paying their respects to the music of Prince. Glossop Record Club is curated by the wonderful Simon Galloway and can be thought of as the musical equivalent of a book group or a film society – coming together once a month to listen to albums on vinyl and in full on a decent hi-fi, in a relaxed environment as free from distraction as possible. It’s a place for music fans to share old favourites, discover something new and of course discuss the merits of what’s being played. Full details of the night together with information about Glossop Record Club can be found on their website. 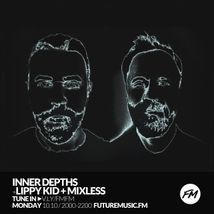 On Monday 29th February, Lippy Kid will be delivering a guest mix on Future Music FM as part of Nick Wilkinson's Inner Depths show. The mix is a collaboration with Bristol based DJ, Mixless. You'll be able to listen to the full mix via the internet link at Future Music FM at 8:00pm GMT on Mon 29th February, or you can catch up with the entire show via Mixcloud here. 1st January 2016: Thanks & Happy New Year + New Track! It was truly amazing to see one of the tracks, '24 Hour Reboot', picked up by Mary Anne Hobbs and featured on her BBC 6 Music 'Recommends' show. Not something I'd expected to happen at all! I have to give a huge thank you to all those who took time to provide so much generosity in their reviews of the album and also the DJs/producers who featured a track in their mixes. Most of all though, thanks for listening, and for all your support and encouragement. It really does mean a great deal and makes so much of the effort worthwhile. So on a final note...at the time of completing E&A, there was a track I didn't get around to finishing. So to close the year, and mark the start of a new one, I decided to complete it and share it. It's free to download from my Soundcloud account. I wish you and everyone you hold dear the very best of everything for 2016. Happy New Year! The Lippy Kid Electronica Project has teamed up with Derbyshire's incredible Poet Laureate, Helen Mort, to create a brand new track for this years Dark Outside FM broadcast. 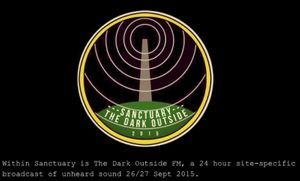 Once again Frenchbloke has pulled together 24 hour's of unheard sound to be broadcast from the Galloway Forest Dark Skies Park over the weekend of 26th and 27th September. This year sees the event growing further, with contributions from Portishead, Plaid, Chris Carter, Scanner, Martyn Ware and many other artists. For more details on Helen Mort's work see her website. 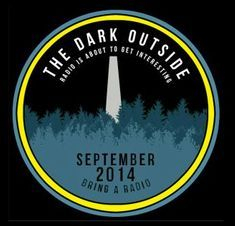 Further details of this years Dark Outside broadcast and how to hear it can be found here. 12th August 2015: Echoes And Answers - "A Life-Affirming Listen"
Echoes And Answers has just been reviewed by Simon Tucker over at Louder Than War. And what a fantastic review it was! Described by Simon as "A Wonderful And Life-Affirming Listen" you can read the whole of his excellent review here. You can also catch up on many of Simon's other reviews via the Louder Than War website. 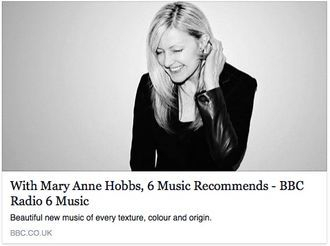 The wonderful Mary Anne Hobbs has recently featured the Lippy Kid Electronica Project on BBC Radio 6 Music. The track '24 Hour Reboot' from 'Echoes And Answers' closed out her '6 Recommends' show in the early hours of Thursday morning. Featuring alongside other artists such as Nils Frahm, Kendrick Lamar and Scuba, you can hear the full show for a limited time here. 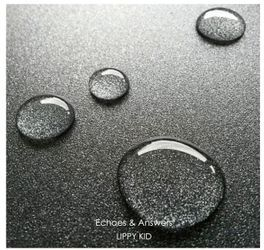 The Lippy Kid Electronica Project has a brand new release titled 'Echoes And Answers'. "We Search The World To Find...."
Many people on social media have kindly responded and it is their collective thoughts that have helped to inspire the finished work. Additionally, all photography for the album has been provided by Antony Theobald, better known in the Social Media world as Mixless. You can see more of Ant's photography here. A brand new Lippy Kid track has recently been created and submitted for this years Dark Outside 24 Hour Broadcast, but you'll need to get to a forest to hear it! The broadcast takes place in Galloway Forest Dark Skies Park. Sound artist, Frenchbloke, curates 24 hours of previously unheard music donated exclusively for this project by musicians and producers from all over the world. The site-specific transmission will be of specially composed work, forgotten recordings and alternate versions of existing work, none of which have been heard in public before. These sound works will be on air for the duration of the broadcast, then deleted. Further information, together with details of all the contributing artists, plus how you can take part can be found here. 6th September 2014: Whitwell Festival of Music! Really pleased and excited to announce the Lippy Kid Electronica Project will be appearing as part of this years Whitwell Festival of Music, closing the night on Saturday 6th September. Described by The Derbyshire Times as ‘Derbyshire’s Best Kept Secret’, Whitwell Festival of Music is now in its 6th year. 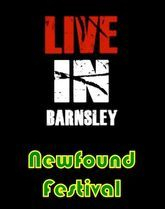 Featuring more than 25 bands over two stages during the weekend of 5th to 7th September. It includes an ever-expanding real ale and cider bar, quality food, craft stalls, music workshops and open mic opportunities. Ensure the dates go in your diary!!! The festival is organised by volunteers and profits made from ticket sales are donated to local community groups. 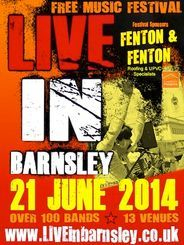 The Lippy Kid Electronica Project will be appearing as part of the Live in Barnsley Festival on Saturday 21st June. The festival has proved highly popular, being shortlisted for Best New Festival award in 2013. The festival pulls together many bars and clubs across the town in order to host a huge diverse range of music. Lippy Kid will appear at Stereo Bar in Barnsley, on stage at 2pm. 6th May 2014: ANATOMICAL LIVE!!! The Lippy Kid Electronica project is pleased to announce a number of live festival appearances for this Spring/Summer. Performing tracks from the 'ANATOMICAL' album, there will be appearances at the 'Newfound Festival' on 26th May, and also at the 'Live In Barnsley' music festival on 21st June. More details of timings and venues will be made available in the run up to the festivals. 'ANATOMICAL' has now been acclaimed by the writers of Electronic Sound Magazine. Issue 6 of the highly regarded magazine contains a full review of the album alongside mentions of other Lippy Kid output. 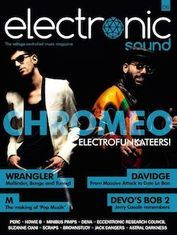 Electronic Sound is a UK-based magazine dedicated to the very best in electronic music. Each issue features weighty interviews, in-depth reviews, great photography, and lots of video and audio clips. Details of how to get hold of the magazine, including a FREE preview, can be found here. Following the recent 'ANATOMICAL' release, you can read an interview conducted by the acclaimed online rock music and pop culture magazine/blog 'Louder Than War'. The interview was carried out by one of their lovely writers, SonJ. You can read more of her 'Louder Than War' features here. Friday 28th February 2014 marks the latest release from the Lippy Kid Electronica Project. The album is available now on CD and as a download here. The track "Revisiting a Human Tide" is now available to hear via Soundcloud. 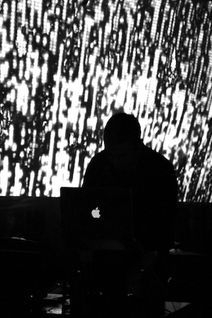 The track is based on a series of samples taken from Three audio tracks Produced and made available by Orbital's Paul Hartnoll as part of the Human Tide Arts project. The tracks accompany the Human Tide film. Human Tide was a realisation of "la marée humane" (the human tide) - a reference found in the study drawings Duchamp created for 3 Standard Stoppages. The project has created an interpretation as a tribute to one of the twentieth century's greatest artists and expands on his idea that art is whatever you want it to be. Please visit humantide.co.uk/ for more information and to take part. The Lippy Kid Electronica project is featured on the magnificent Vader Evader electronic music blog as part of their "Free Writing" event. Discussing releases and collaborations, together with capturing thoughts on Cinema, the Soundtrack and Electronica you can read the full article here. The Lippy Kid Electronica Project will be appearing as part of the Weston Park Hospital Teenage Cancer Trust Benefit music event being held at the County Hotel, Saltergate, Chesterfield. The event is Free entry with many local bands and musicians appearing throughout the day. 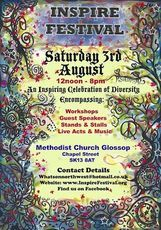 On Saturday 3rd August, the Lippy Kid Electronica Project will be appearing at the Inspire Festival in Glossop. The Inspire Festival is a community festival in Glossop embracing all aspects of the local community including Arts, Music, Culture, Local Shops/Traders, Local Organisations and Charities. I've recently agreed to return to play live at the "County Sessions" Chesterfield. The return date will be Wednesday 3rd July. If you happen to be a musician, story-teller, poet, comedian or any kind of artist interested in appearing at the County Sessions, contact Brendan Allen by e-mail here. 5th May 2013: Chesterfield Community Arts Festival: "Sweetie"
Saturday 4th May, I was very honoured to be asked to perform at Chesterfield's first ever "Community Arts Festival". The performance took place as part of the people's "Pick N Mix" party organised by the "Charity Shop DJs" at Chesterfield's Winding Wheel theatre. The theme for the evening was Sweets and the 'Sweet Memories' local residents still have of their association with the former Trebor factory once located in the town. To keep with the spirit of the evening I put together a new track I titled "Sweetie" that features a Chesterfield lady reminiscing over the "Chewing Gum Rewards" she once received from her Teacher and the fond memories that she and the community still have of him. Nice feature in the May edition of Derbyshire Arts Magazine ArtsBeat discussing the Lippy Kid Electronica Project. The article focusses on some of the collaboration activities and motivation for the project. You can read the full article here. If you see one on your travels in and around Derbyshire, pick one up. Information on stockists and distributors of the magazine can be found on the ArtsBeat website. Possibly the biggest motivation for me with the Lippy Kid Electronica Project is the opportunities it creates to collaborate on new ideas. It's particularly interesting when the opportunities arise to work with artists or musicians from genres where their link to my own is not immediately obvious. A number of months ago I came across the contemporary pianist James Oldrini. I was immediately taken by his minimalist/ambient piano scores, reminiscent of Philip Glass and Olafur Arnulds. As we were both Derbyshire based people we got in touch with each other and explored the idea of collaborating on a few ideas. Although James's music lies with a subtly different genre, we share the same ethos on Arts and Music therby making such a collaboration a relatively simple process. After sharing music ideas we settled on trying a new take on his track "Ecclesbourne Valley". To come up with the new version I took five samples from his track and re-worked them into what I have titled "Return To Ecclesbourne Valley". You can here the demo track below or by visiting my Soundcloud. Working on the track has been an enjoyable experience for both of us. Not only has it given us the chance to hear our music in a subtly different context, but it's given us the chance to become friends offering each other mutual support. If the idea of collaborating on future projects is of interest to you, do get in touch here. James's new release "Raggi D'Oro" is available via the usual online retailers with more information on his website www.joldrini.com. 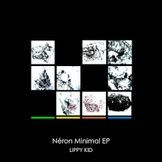 The Lippy Kid Electronica Project latest release "Néron Minimal" is available to download here. 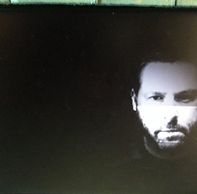 23rd March 2013: Néron Minimal LIVE @ "The County Sessions"
24th April 2013 will be the first LIVE appearance of the Lippy Kid Electronica Project. and a chance to publically air Néron Minimal. The appearance will take place as part of the "County Sessions" in Chesterfield. 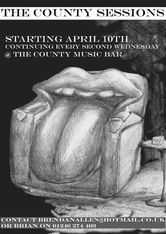 The County Sessions is a new eclectic showcase taking place at the County Music Bar, Chesterfield. 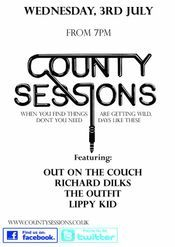 The first "County Sessions" will take place on the 10th April. If you're interested in taking part, e-mail them here. Thursday 21st March 2013 at 9pm marks the latest Lippy Kid release. The EP is available as a download here. Artwork for the EP cover and the accompanying liner notes have been produced in collaboration with Derbyshire based artist Anna Krystyna Casey. You can find more detail on her work here. We can confirm that the Lippy Kid Electronica Project will be appearing at the Chesterfield Community Arts Festival late spring. The festival will take place over the May bank holiday weekend 4rd-6th May with the Lippy Kid performance taking place on Saturday 4th May between 6pm and 11pm. The precise details are being finalised, but the appearance will be at the Winding Wheel in collaboration with "Charity Shop DJs". The Lippy Kid Electronica Project will be making a live appearance at the "Inspire Festival" in Glossop. The festival will take place on Saturday 3rd August 2013. Lippy Kid will be accompanied by the visual artist Mark Gittins. More details on the Inspire Festival can be found here. 22nd Dec 2012: "Celluloid" a Top 50 album! With the end of year "best of" lists rolling in, it was genuinely moving to see "Celluloid" included in this from "We Love All That"
Nice to see "Love To Infinity" make an appearance in this ace retrospective of 2012 from Antony Theobald aka Mixless. 19th Oct 2012: "English Rain - The Remixes"
Lippy Kid has joined forces with fellow Derbyshire artist, the folk singer "Tribe of Juan" to arrange and produce a remix of his excellent track "English Rain". The results of the collaboration are available for you to download FREE OF CHARGE. 9th Oct 2012: "New Music In The Spirit of Peel"
Lovely feature on the "We Love All That" music blog discussing the "Love To Infinity" and "Celluloid" releases. 8 track debut album "Celluloid" now available as a FREE download. Lippy Kid discusses the creation of "Love To Infinity" and why the proceeds were donated to Action Aid. Now available, the Debut release from Lippy Kid. 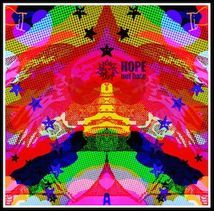 The three track "Love to Infinity EP". All proceeds from the release will be donated to the charity Action Aid.